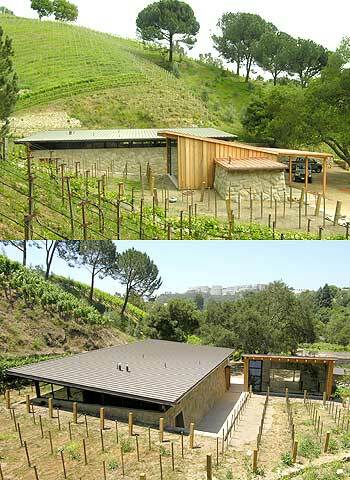 The new Moraga Winemaking Facility is the first working winery in the County of Los Angeles since the prohibition era. This 2,400 S.F. facility consists of two structures; the wine making building consists of the white wine room, the red fermentation room and mechanical space. The small lab/tasting building is oriented toward the vineyard by a large window. The materials used were designed for longevity and relating to the site with stone, wood, and copper throughout the project.